Loganberries are a cultivated bramble similar to blackberry. They are a cross between a raspberry and a blackberry, inheriting features from both parents. A lawyer named Logan, from California, in the 1880’s, tried to grow a superior blackberry by crossing two blackberry varieties. The blackberry was next to a raspberry plant and, when the seeds were grown, he discovered he had produced a new fruit. Like blackberries, they need lots of room and should be trained on wires. Any fertile, cultivated, well-drained soil is adequate. Like other fruit, shelter from wind and a sunny site is preferable. Plants can be bought and when well-established, propagated by layering stems in autumn. Loganberries fruit on second year growth, which can be cut back to ground level at the end of the season. The vines have soft spines, like the raspberry, and can grow ten metres in a season. The fruit are like large, black or deep purple raspberries. 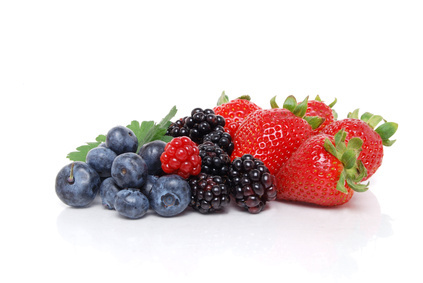 They ripen earlier than blackberries or raspberries and can be eaten raw, jammed or jellied. They are not generally grown commercially because they are labour intensive, but who cares when you can grow your own. Loganberries suffer from the same pests and diseases as its relatives, botrytis, birds and mildews. Normal care in growth and siting should make plants less vulnerable.